The latest issue of Seattle Maison magazine is ready for you! The May/June 2017 issue is full of fantastic content. The Cinco de Mayo party article, Green Goodness article about avocados, and Mysterious Margarita article, will provide easy-to-implement ideas for parties all summer long. Imagine having friends and family over for a fiesta themed party – how fun would that be? I can’t wait to try the Easy Peasy Spicy Guac recipe! The article about Outdoor Rooms contains so many dreamy ideas to revitalize your backyard and create your own resort-style oasis. There are some gorgeous photos of outdoor kitchens and luxurious outdoor light fixtures to drool over! What would you like to tackle in your own back yard this summer? 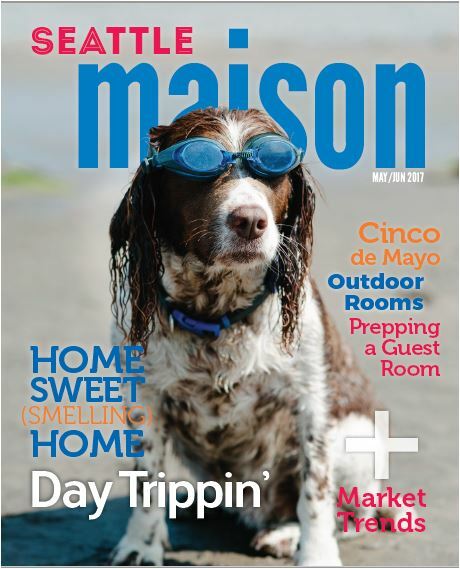 Other topics covered in the May/June issue include interesting day trips around Western Washington, how to “smell-proof” your home when you have pets, and 9 way to prep your guest room to make overnight guest feel cozy and welcomed to your home. To read the whole issue, click here. If you would like to receive your very own copy of Seattle Maison delivered to your inbox 6 times a year, send me an email at kathryn@windermere.com so I can add your email address to my mailing list.